This unit was sent to me to review with my honest opinion and results below. 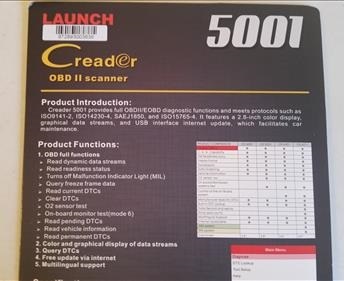 The Launch CReader 5001 is a stand alone OBDII scan tool with a lot of built-in functions. 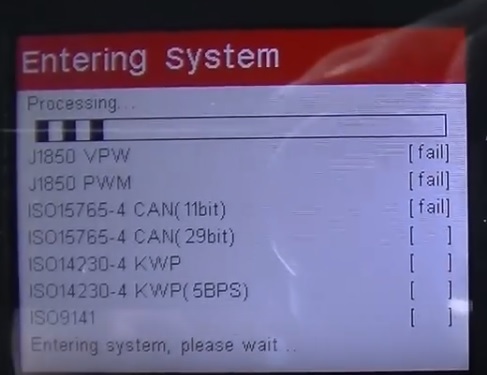 OBDII is a set of protocols that work with most any vehicle from 1996 and newer. Besides reading the basic OBDII engine codes it also has a lot of extras such as Real Time Data and 02 Senser Testing built-in. It comes with the unit, USB cable, and quick start guide. Using the engine scan tool is easy by plugging it in to OBDII Port in a car or truck. 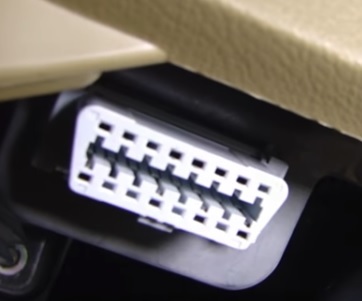 Most OBD2 ports are on the driver side under the dashboard. After plugin it in and powering it on the main menu will have Diagnose, Settings, and Help options. Entering Diagnose Option will talk with the vehicles computer and give information. 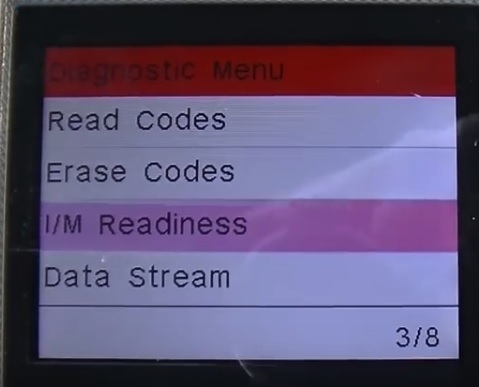 The Diagnose Option will have Read Codes, Erase Codes, I/M Readiness, and Data Stream. 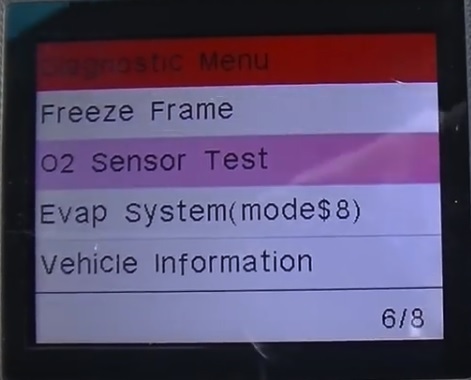 There is also sub sections under Data Stream for Freeze Fame, 02 Sensor, Evap system, and Vehicle information. 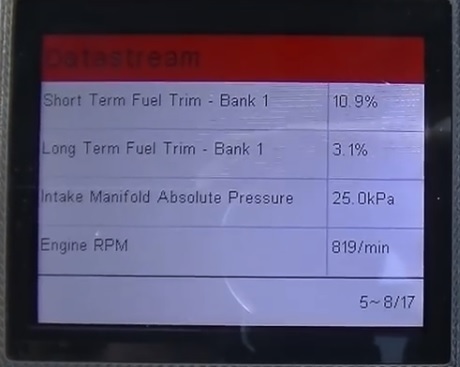 The Live Data stream works quick and has a lot of useful information to scroll through. The Live Data Stream is for more advanced users with most only needed to read and clear codes. Still it is nice to have if you know what to look for. 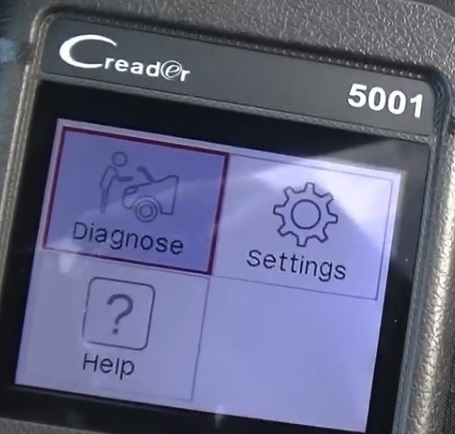 The Launch CReader 5001 is a nice stand alone OBDII scan tool that will easily read and erase engine malfunctions. Of course if a code is erased and the problem is not fixed the code will likely come back. 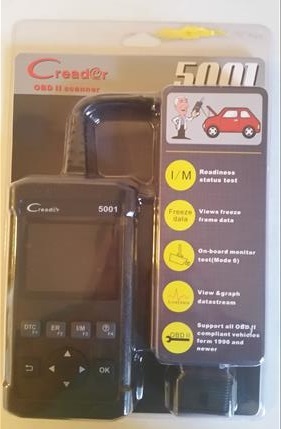 The CReader 5001 is a great low cost reader that would be good for any DIY mechanic looking to find a problem with a car or truck. 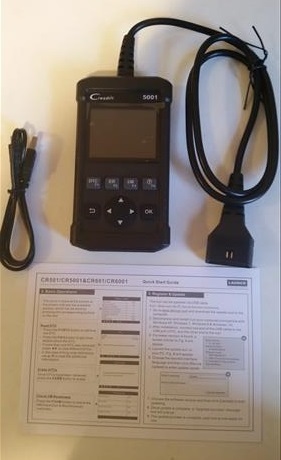 We have also reviewed the Launch 6001 which has more features but also cost more then the CReader 5001. I am still testing the unit so far with good results and will update if anything changes. How do you update this device? The website listed to download the ‘update tool’ doesn’t actually list this model…? Hi there. I just got one scanner and would like to know how to update it. some functions/information are not displaying and i think an update would help. What I want is the update procedure.